Stay warm and cozy with the Intelligent Design Leena Shaggy Faux Fur Comforter Set. The faux fur comforter features a soft shaggy texture to add to your bedroom decor. A soft faux mink on the reverse provides extra warmth and comfort, while matching sham(s) complete the faux fur comforter set. Hypoallergenic polyester filling in the comforter also provides exceptional warmth and comfort. 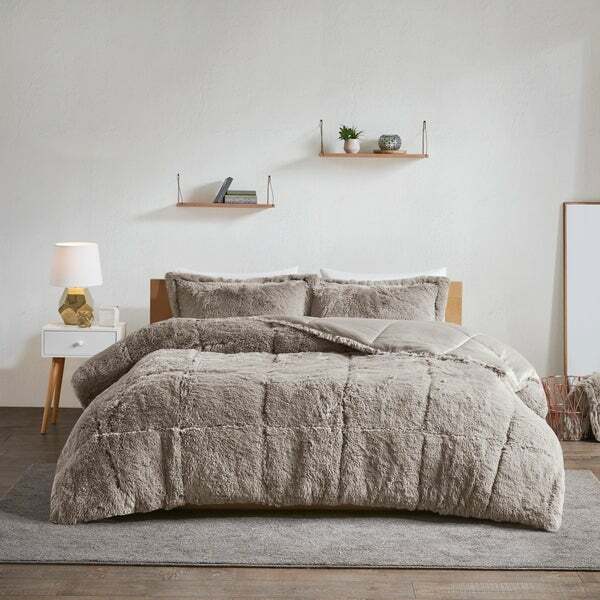 Machine washable for easy care, this shaggy faux fur comforter set offers warmth, comfort, and a chic contemporary update to your bedroom decor. Set includes: 1 comforter and 2 shams (1 sham for Twin sizes). "What is the weight on this comforter in king size?Is it extra soft and Fluffy?What is the return policy?"